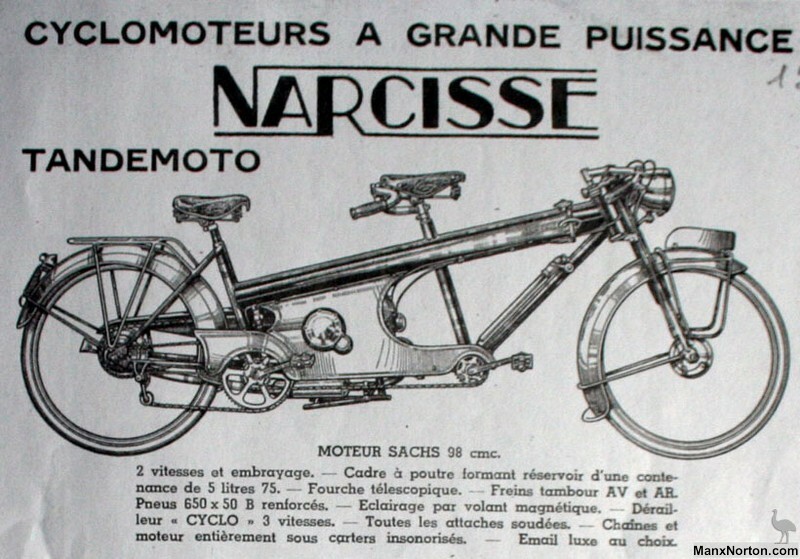 Owned by Michel Humblot, the Narcisse company manufactured tandems with Sachs and Aubier-Dunne engines in 1951. Solo machines with the same engine set-up were made between 1951 and 1954, and during the same period they also made a 48cc cyclemotor with an SER engine. When competition for this style of machine from larger manufacturers became to fierce, M. Humblot decided to concentrate on another of his marques, the Paloma.